There are 1 cat videos tagged with water-balloons. They say curiosity killed the cat, but in this case, curiosity made this Munchkin Kitten even more curious. Meet Khan, a cat who would much rather nibble on the mysterious items before him even after one of them pops. 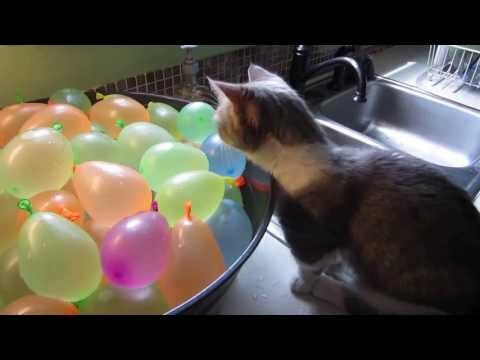 While water balloons are great for kids on Fourth of July, turns out that they’re fun for cats too. Khan tried to claw one of these balloons out to play with it, but it pops before he can even make out where it went. So imagine his surprise when he’s able to replicate the same results with another balloon. I think we may have a cat scientist in our midst.